Due to the projected risk of rising interest rates, more and more investors have become concerned about real estate investment trusts, or REITs. Economists have already predicted that the Federal Reserve will increase interest rates in the coming months. If that should take place, increased interest rates could prove to be disastrous for REITs, since they rely strongly on debt markets for capital. That capital is typically used for acquiring and developing new properties. In a rising interest rate environment, this is an asset class that could suffer. While share prices have begun to decline across this asset class, not all REITs are following the same trend. Among those daring to be different is Digital Realty Trust. One of the reasons for this is that Digital Realty is actually a technology REIT, leveraging the massive amount of growth represented by big data. With increasing amounts of data being gathered from consumers, the need for storing that data has grown exponentially. Digital Realty owns and operates a variety of tech-based real estate properties. Among those properties owned and operated by Digital Realty are data centers for storing the massive amounts of data now being generated. Among the great benefits of this type of business model is that tenants are locked into long-term agreements. Additionally, Digital Realty also operates in an extremely high-growth industry. This means that the REIT has the leverage necessary to raise rents on a regular basis. Another strength that makes this business model so successful is the high quality of Digital Realty’s tenant portfolio. With an occupancy rate of over 90 percent, Digital Realty is enjoying tremendous success. Overall, the company is taking a vastly different approach to REITs, which has proven capable of paying off quite well. Investors are naturally wary anytime there is projected concern. This is completely understandable, given the volatility the stock market has experienced in the last few years. 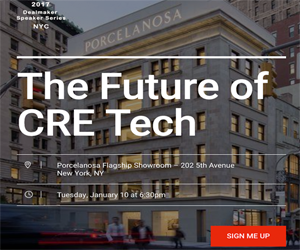 Digital Realty is working to counter much of that concern by taking an innovative approach to the traditional REIT model and replacing it with a modern take that helps to mitigate risk while still leaving ample room for financial reward. Interest rate concerns may well still be a reality, which could be leading many investors to avoid considering REITs. Digital Realty is proving, however, that a strong business model and quality portfolio is fully capable of generating a sufficient amount of revenues to withstand even increasing interest rates. Furthermore, the fact that Digital Realty is a REIT also provides investors with even more benefits. For instance, Digital Realty does not have to worry about income tax at the federal level. Shareholders receive a minimum of 90 percent distribution of taxable income in the form of dividends. The result is that Digital Realty offers an extremely attractive stock that will remain quite capable of providing appealing rewards to investors, regardless of whether interest rates rise in the future.